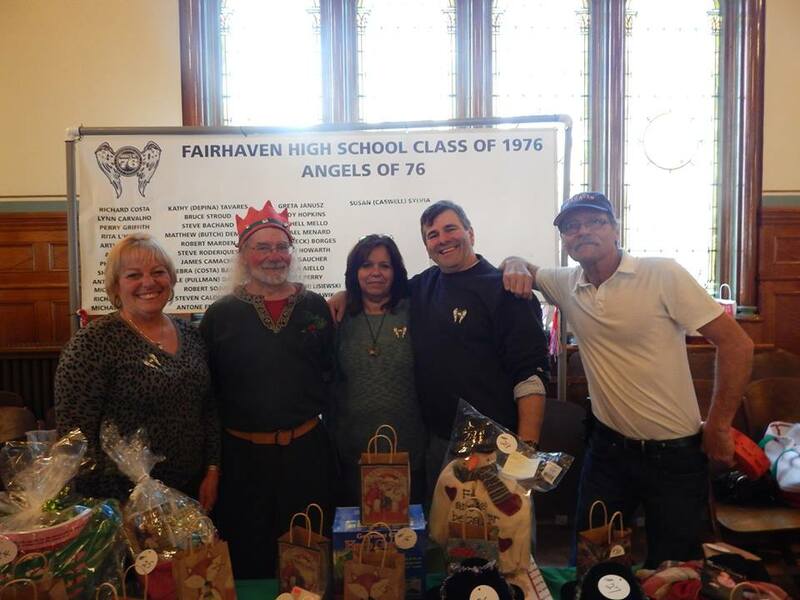 Fairhaven high’s Class of 1976 began another group separate from its reunion council, however still very tied into the Class’s soul. 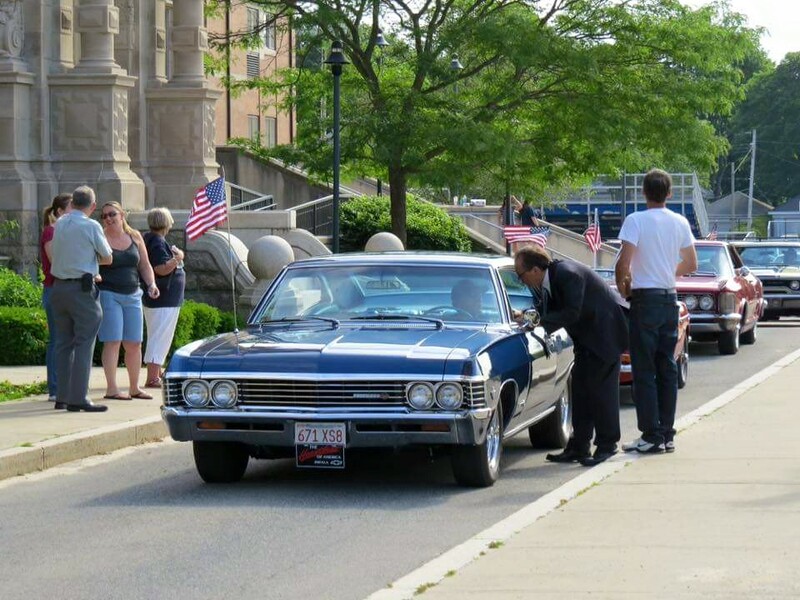 When class Member John Sharples became the president of the FHS Memorial Brick Park in the spring of 2014, he began looking at the classmate’s memorial bricks already in place at the memorial park, scattered around the park. Upon this outlook John decided to encompass all the class members of 1976 in one final resting place. Thus the Angels of ‘’76 was born. 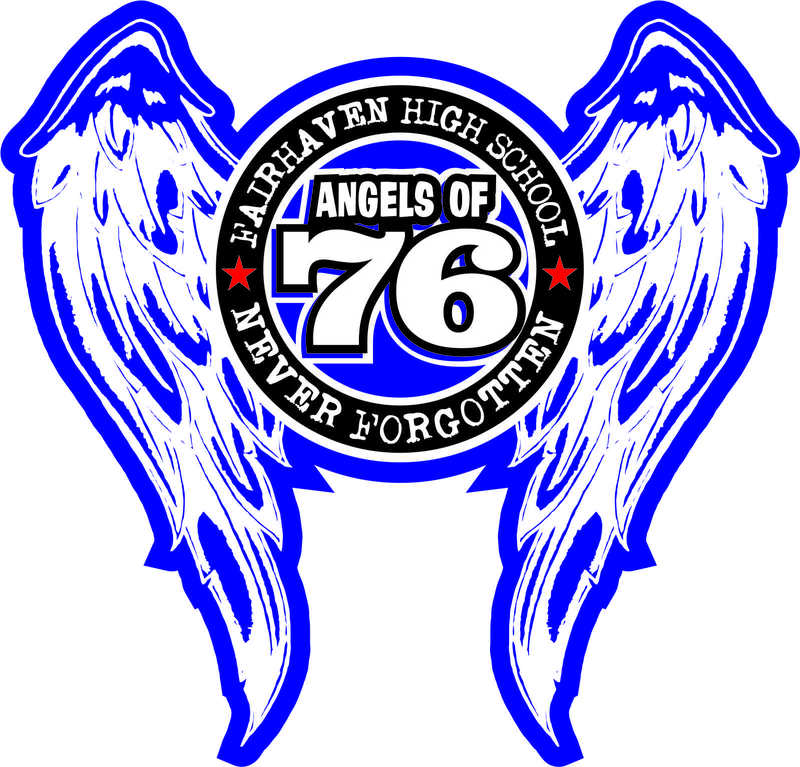 The mission of the Angels ‘76 is to place a brick for each member of the Class of 76 inside the Memorial Brick Park at Fairhaven High school. 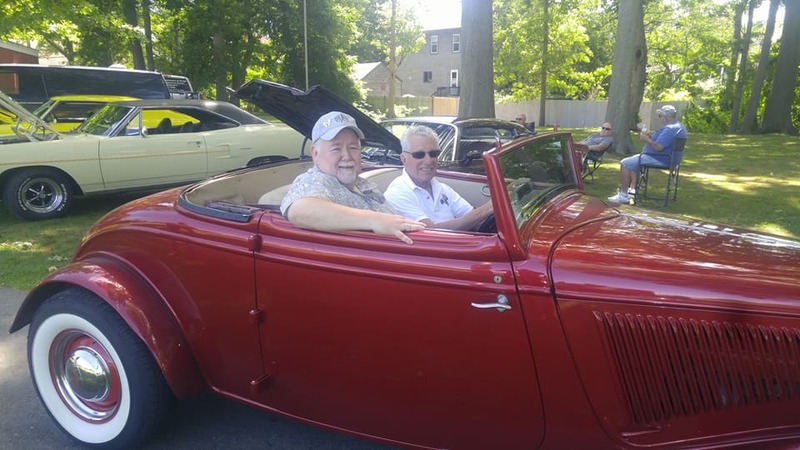 Fund raising events began in the fall of 2014 and so far within the two years existence of the group a total of $2,303.00 has been raised to date. The original goal had the Angels placing a memorial brick for wach deceased classmate. The Angels’ six board members soon decided on a change of course. Altering the mission after several Saturday morning breakfast meetings. The Angels’ concept of “Last Man Standing” slowly realized wouldn’t work well, the board decided on another way of ensuring placement of classmate’s memorial bricks. 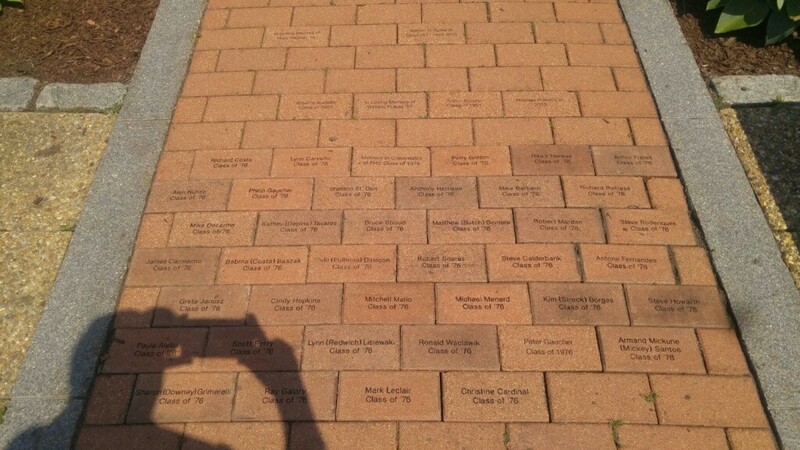 The board agreed upon the Class of ‘76’s “legacy” to the memorial brick park and created a concept of placing a brick for its’ 243 graduated members. Each memorial brick has a cost factor of $100 each and this created the fund raising reality. Several classmates already donated funds towards this endeavor and the angels will continue to perform yearly acts of fund raising until all the classmates bricks are interned into the Memorial Brick Park. This year the Angels’ has acquired an old FHS Desk and now the desk is in the shop to restore to its’ original luster while having the Angels’ logo embodied in the center of the desk allowing itself to be used as a fund raising device. 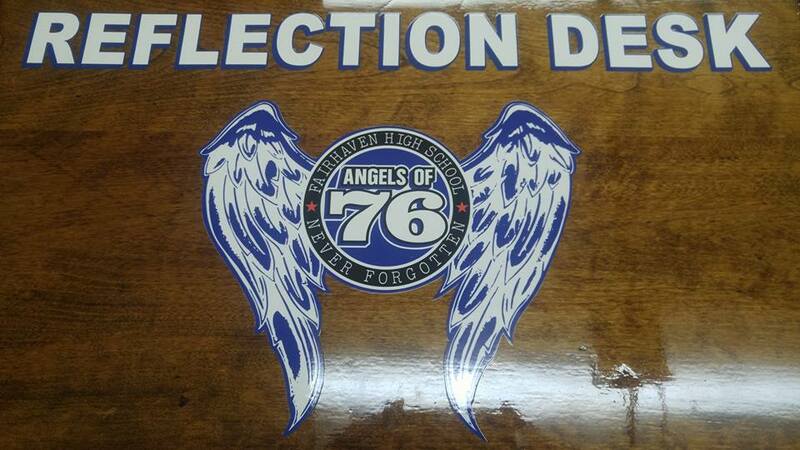 The desk will be present at all the Angle’s 76 and FHS Class ’76 events. This is the logo for the Angles ’76. Designed by John Sharples who is president of Angels’ 76. When a donation is presented to the group, the individual giving the donation has or will receives a pin in the form of the group’s logo. The Pin came in two sizes, one being almost 2.5 inches in diameter and now the Angles has a smaller version, 1.5 inches in diameter. These Pins are to be handed out to the classmates and new donors. Angels 76 Obtained an Old Desk from Fairhaven High school, refurbished the Desk and now uses it as a show piece for our fund raising events. Envelopes for donations are inside the desk along with a Class 1976 year book. Reflecting on our past, our future. Anyone can visit the FHS Memorial Brick Park. 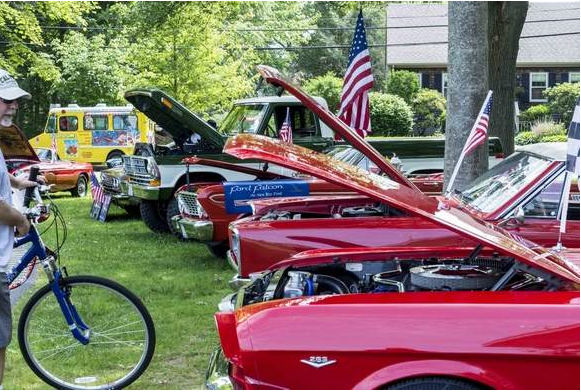 Angel's next fund raiser project will be at Fairhaven's OLD TIME HOLIDAY EVENT at Fairhaven Town Hall. 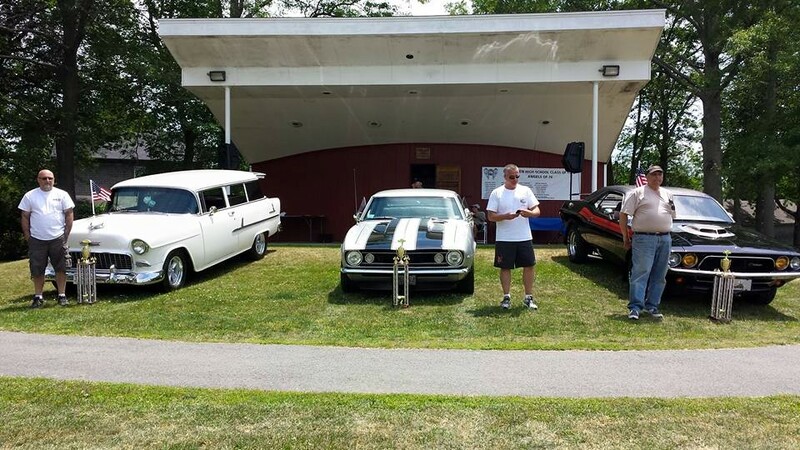 Check out the Angels 76 booth. Angels 76 want to hear from you!